Cabell Family Dental Care has been providing the highest quality dentistry to the Hartland community for more than 30 years. Dr. John Cabell and Dr. Doug Cabell offer unmatched experience and education, provided to you in a friendly and comfortable atmosphere. This training in advanced procedures means you can have more of your treatment needs handled within the comforts of our office. We truly believe that seeing the dentist can be a pleasant experience. Just ask our patients! A staple of the Hartland community for more than 30 years, our staff's #1 concern is making sure that everyone feels at home and comfortable in our office. We treat you just how we would treat a member of our own family. 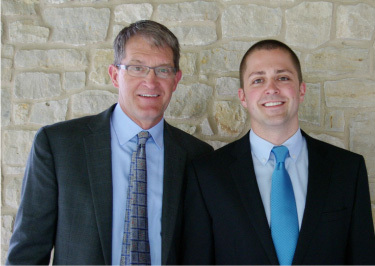 Dr. John Cabell and Dr. Doug Cabell strive to develop long-lasting and trusting relationships with every patient. We look forward to seeing you soon!